Fiffe goes Fanta! 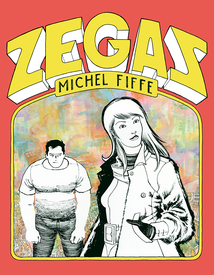 Zegas, an original graphic novel by Michel Fiffe has been published by Fantagraphics. Most noted for his epic, inventive reworking of superhero tropes in Copra, here in the pages of Zegas, he comes down to earth and applies his substantial cartooning chops to a relationship tale – although not without a few fantastic forays into the imaginative realm. 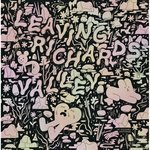 Fiffe's comics have a look and feel like none other. There is an indefinable zest to his pages that is transmitted to the brain via the optic nerve. All fans of Fiffe's work on Copra should enjoy Zegas on the strength of the art alone – which here is in the larger, magazine-page size, giving it more room to stretch out and try a few new things – but more to the point here is that those readers who had declined to give Copra a try due to its focus on heroic fantasy now have an opportunity to experience Fiffe's work in the service of a story they might find more to their liking, a tale of life and love... and imagination's role in it all.